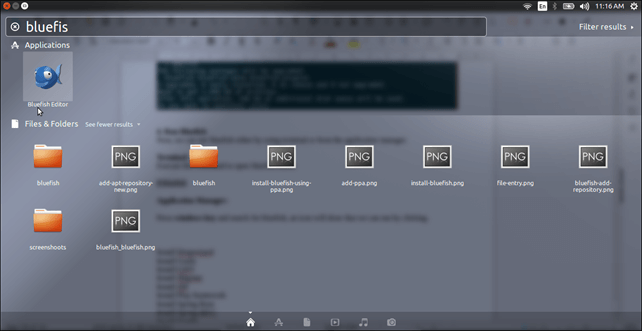 How to Install Bluefish Editor on Ubuntu ? Bluefish is a text editor. It is used to write code in various programming languages like: C, C++, JAVA, Python, HTML etc. It is cross-platform, lightweight and easy to learn. It provides many features of IDE to support development and designing of applications. 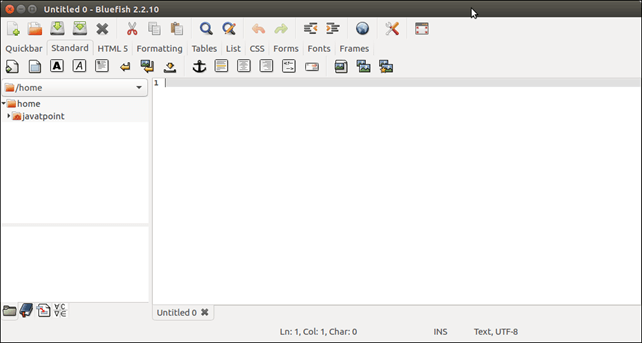 In this tutorial, we will install Bluefish editor on Ubuntu operating system. This installation process includes the following steps. Use the following command to add PPA in our system. Use this command to update our local repository. After updating, now, use this command to install bluefish. Now, we can run bluefish either by using terminal or from the application manager. Execute this command to open bluefish editor. Press windows key and search for bluefish, an icon will show that we can run by clicking. The bluefish editor looks like the below screen-shot.